Karin Brunk Homqvist's novels from Österlen have made her one of the most read and appreciated writers in Sweden. With humor and a big heart she tells the story of the everyday heroes, who realise that it’s never too late to change your life. Karin mixes the old times with the new, the countryside with the city in her entertaining stories filled with human greatness and shortcomings. Stories that makes you laugh and nod in recognition. 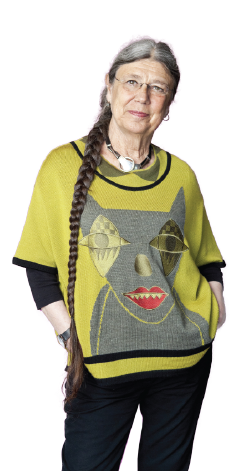 Karin Brunk Homqvists novels from Österlen have made her one of the most read and appreciated writers in Sweden. With humor and a big heart she tells the story of the everyday heroes, who realise that it’s never too late to change your life. Ossian is leaving the calm life in the little village Skillinge for the journey of his life, to the Danish island Bornholm. One day Majken finds a nice object on the beach, perfect as a decoration in her flowerbed, and the village has to be evacuated. Majken is ashamed, and relieved when everyone start to discuss where Ossian is. His house is empty and dark and he usually doesn’t leave Skillinge very often. His young friend Sara, fourteen years old, decides to find out what happened to him. 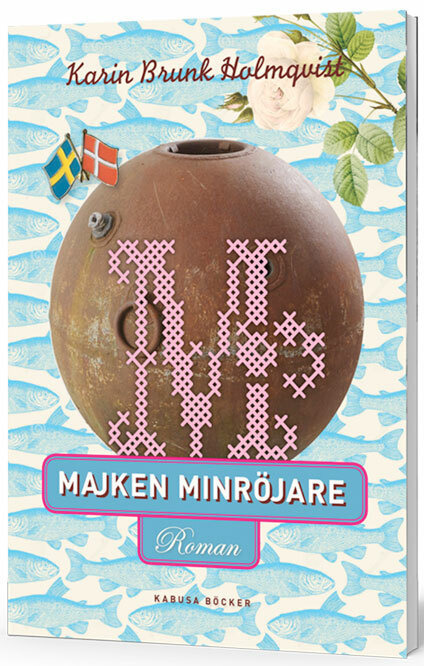 Majken deminer is Karin Brunk Holmqvists eleventh novel from her own universe in the very south of Sweden, Österlen. It is twenty years since she published her first novel, the great bestseller The Potencygivers, an anniversary to celebrate!